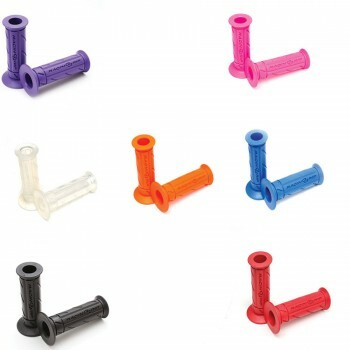 Simple, but stylish- Posh Racing Grips are designed with a retro-BMX look! Made from easy to clean soft compound that makes riding more comfortable! 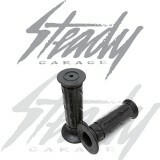 Universal fit for any 7/8 (22.2mm) handle bars! Available in various colors, please chose from the menu! Sold in pairs, one left and one right (throttle). Posh Racing Grips will stand out with their bright colors and rad grip designs! These grips will look nice on any style bikes! 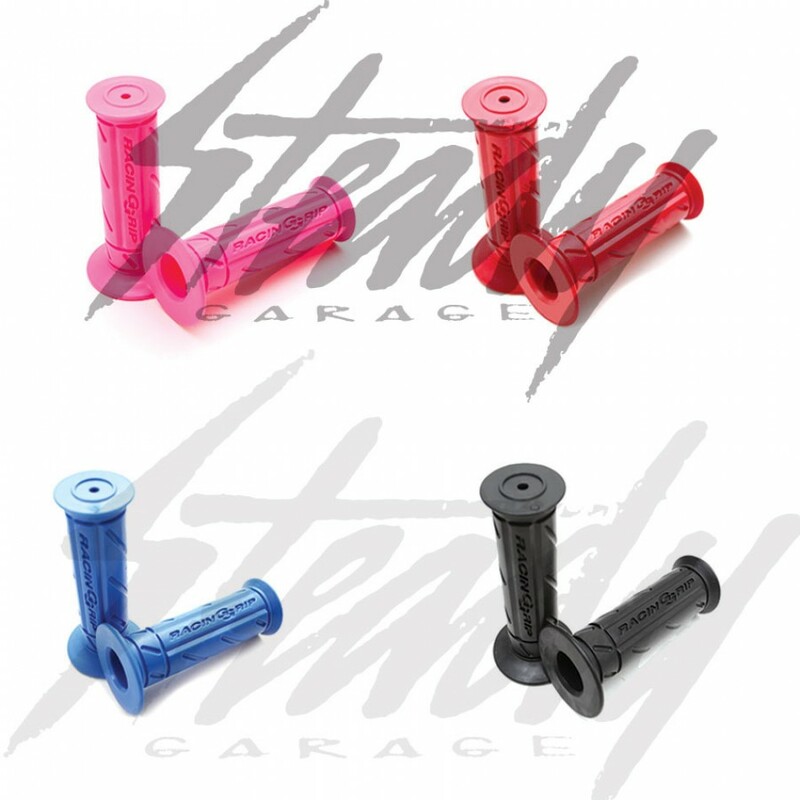 From bobbers, cafè racer, flat tracker, to scooters, choose the color that best fits your build! Diameter: 7/8" (22.2mm), throttle side is slightly large for easier fitment on the throttle tube. Yamaha TW200, Yamaha C3, Yamaha Zuma 125/50F, Honda Ruckus, Honda Metropolitan, Suzuki Savage, and more! Universal fit for all 7/8" handle bars!